This time of year always brings into sharp relief the lack of balance in the world in which we live. There are reminders everywhere, during this season of giving, of those who are less fortunate. Some of you have personally had these experiences, many resorting to living in their cars, or even a homesless shelter. Times are changing for many of you, so let us not forget those who are doing without now. 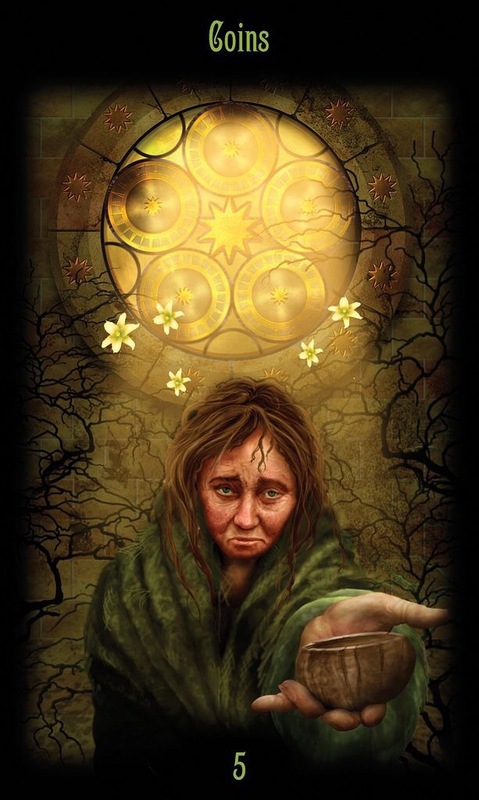 If you were a victim of the last five years, then you may have seen everything in your life stripped away, essentially the lack and poverty associated with the 5 of Pentacles. Now is the time for you to recover, for real, once and for all. You will be nailing that door shut very soon, and putting these hard times behind you, in order to move forward toward a long-held dream. This entry was posted in Card of the Day, General Tarot, Love and Finance, Patreon, Readings, YouTube Videos and tagged 5 of Pentacles, Card of the Day, Guidance, Path, Reading, Tarot.